Soccer is hard! Running, kicking, following the ball like a flock of geese. Give your star players a reason to cheer with a Double Crunch Ice Cream Cake. It even looks like a soccer ball! Well, at least it’s round. Most of the year is packed with school, homework, rehearsals, and snow, but now it’s summer, and we’ve got all this time together (which we’re constantly looking for fun ways to fill). Why not gather around a cake big enough to feed the whole family, like a Family Size Ice Cream Cake with Confetti? With a cake this big, you can even invite over that aunt and uncle you keep forgetting to call back. As much as you enjoyed the silence, you missed your little noisemakers while they were off at camp. They’re back from climbing trees, making dream catchers and terrifying each other with ghost stories. 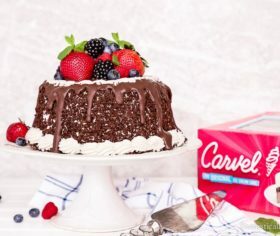 Catch up over a heaping slice of a festive Carvel Ice Cream Cake to persuade them to tell you what they were doing all that time. Whether it’s softball, baseball, t-ball, or possibly even cricket (we’re not sure), your kids have endured grueling hours of standing around in the hot summer sun. And parents, we know you’ve suffered too on those hot aluminum bleachers. Doesn’t matter what their RBI is, they still deserve to cool off with a sweet treat. You did it! So, what if it’s a pretty much daily task. But you left it in the dryer for 2 days, only pulling out the things you needed. You eventually did it like a champ. 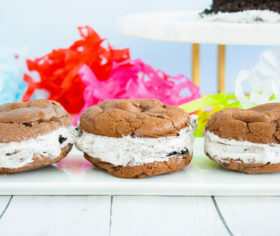 Treat yourself to the double dessert of an Ice Cream Cookie Cake. Drop a little ice cream on your shirt? No worries, tomorrow’s laundry day. Again. Ice cream cake! Sorry Fido, that’s not for you. They say that positive reinforcement is the best way to encourage kids. And what’s more positive than an OREO Premium Ice Cream Cake? Even if it was only for a moment, celebrate, congratulate, and love the kindness. Silence can even count as niceness when you redefine the meaning as the lack of shouting. In the summer the days are long, literally and metaphorically. You still have to work, and the kids are going a million different directions. Take a minute to settle in the craziness and enjoy a sweet treat the whole family will enjoy together, or in separate rooms. They’ll enjoy it regardless of their proximity to each other. We love that when America thinks “special occasion,” they think, “ice cream cake.” But what about the not-so-special occasion of that sweet course you eat after dinner? You can grab one of these beauties at your local grocery store anytime, just as easily as that predictable tub of ice cream. So why not surprise the troops tonight? They deserve it! 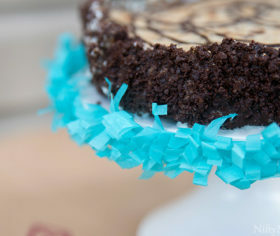 And if there’s any left over, we’ve got tips and tricks to make it into whole new creations. 1. Because you can save $3! Who doesn’t like to save a few bucks? Grab your coupon and save on some of our favorite ice cream cakes.